Water is a resource that is becoming less available, and more expensive, to residents in the state of California each year. With raised awareness of our water shortage, new landscape designs are being implemented to help reduce the amount of water that we “waste” each year. 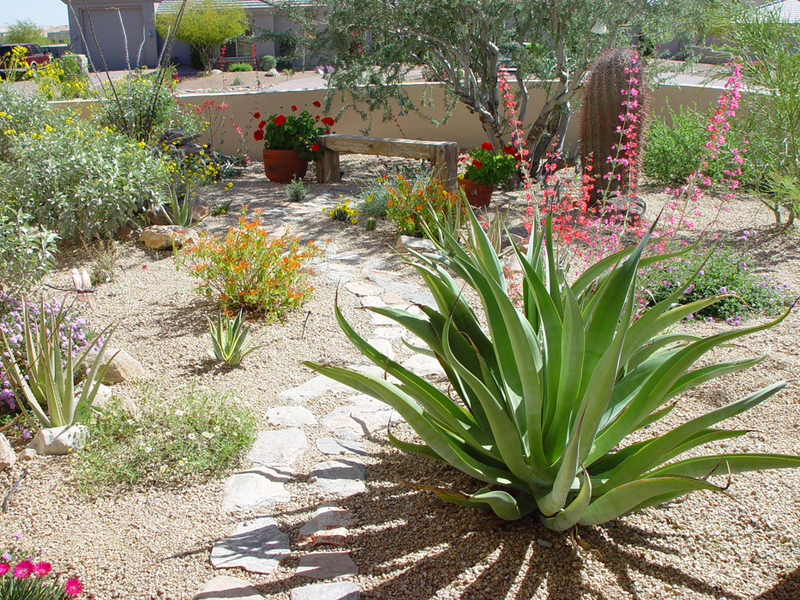 Xeriscaping is a relatively new landscape design that focuses on conserving water in and around your yard. Like buying a hybrid vehicle, people are also making dramatic changes to their existing landscape to help cope with the depleting water source. Part of this design utilizes slow-growing, drought tolerant plants that require less watering and less maintaining, . Less watering not only means a lower water bill but that you’re doing your part to conserve. Here are some tips you can use to xeriscape your yard. Bring in some compost, or humus to help the plants thrive. By having all the proper nutrients readily available, less water is required for the roots to find the nutrients within the soil. More feeding means less watering. More zones on your sprinkler system allows you to be more specific with where your water is being dispersed. You can also set up drip systems, or bubblers, that provide water only to the base of the plant, or tree, rather than the traditional spray nozzles that cover everything. This results in less over watering and water run-off. Most people believe they must water their yard at least 2 times a day. This is not always true for most yards. As Dale Edwards “The Sultan of Sod” will tell you, a lawn can be trained to thrive on just a minimal amount of water each week. With the proper watering cycle you can keep the lawn green and not let a drop of it go down the gutter. There are a variety of mulches and gravels that will not only decorate the flowerbeds but will also act as a barrier to help keep the soil moist. One of the options when considering xeriscaping is replacing the grass with rock or rock-dust. Dry creek beds and pathways are features that require no water and lower maintenance. Buck’s needs your help. We want to know what you think of how we are doing when it comes to service, availability, price, and quality of our products. By logging on to one of the following websites, and answering a few questions, you can do a lot to help us and our prospective customers. Constructive feedback is a great way for us to improve and a raving review will let others know that they can rely on our products and services. Of course we prefer the raving review but we’re humble enough to admit that we need the constructive feedback as well. We appreciate your business and ask for a few short minutes of your time. Thanks.